That's the beauty of this recipe, there is no fixed ingredients list, so you use whatever is leftover from your abundant holiday meal (click here for some recipes.) After such a big cooking event, it's nice to have all the ingredients in one place and in one simple serving -- no fuss, no muss. It's simple really, just layer on your holiday leftovers in a deep baking dish then cover it with a cheap store-bought pie crust. When it's done baking (topped with a golden brown crust) spoon out a serving with a side of cranberry sauce. You might think that it all mixes together, but no, each bite is different according to what you put in. In my first bite I got a pocket of sausage stuffing topped with turkey and gravy, while in the next bite it was pie crust, veggies, and sweet potato. For this recipe I used the remains from a turkey dinner. 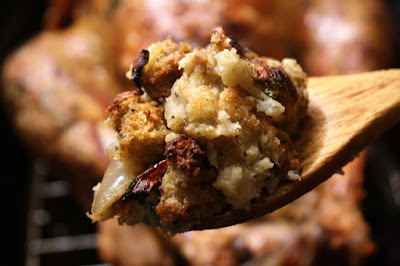 I always make too much stuffing and of course there is plenty of turkey left. We baked orange sweet potatoes, but you can use regular white mashed potatoes. 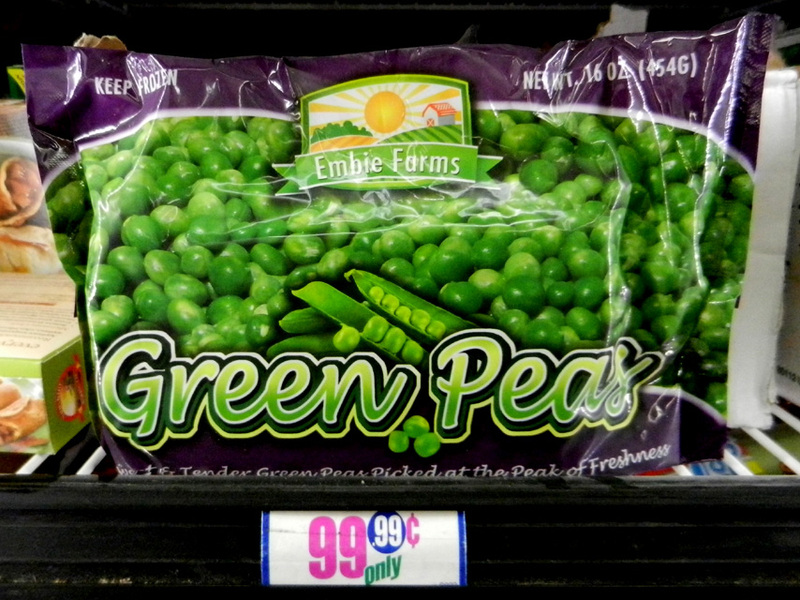 We chowed down all the veggies, so I added a cup each of cooked corn and sweet green peas. You can add any leftover veggie dish you made. There was very little gravy left, so I made a fresh batch. I browned some leftover turkey skin and poured in a couple cups of water mixed with 2 tablespoons of flour - it's good enough. 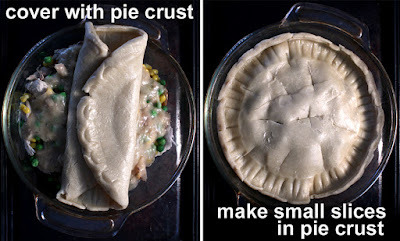 You can add more gravy so the recipe resembles a pot pie. 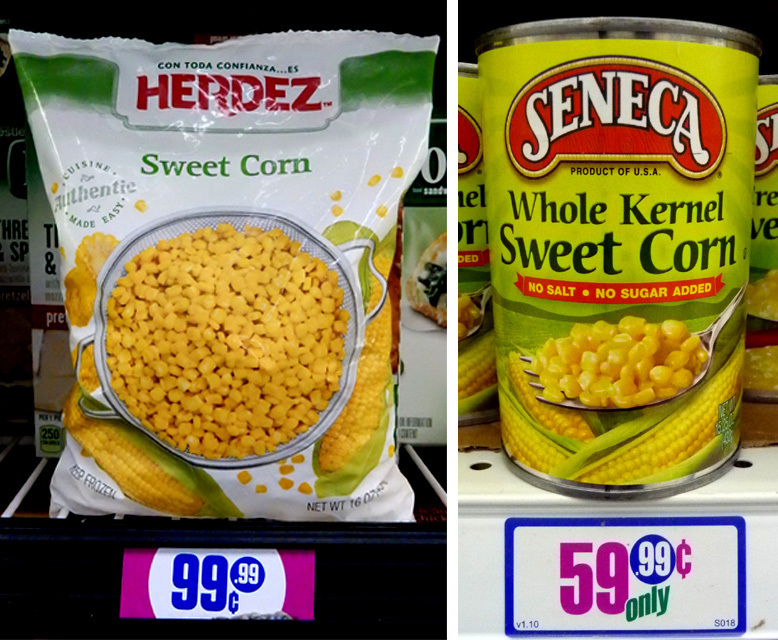 My latest cheap$kate recipe is adaptable to whatever you have on hand. 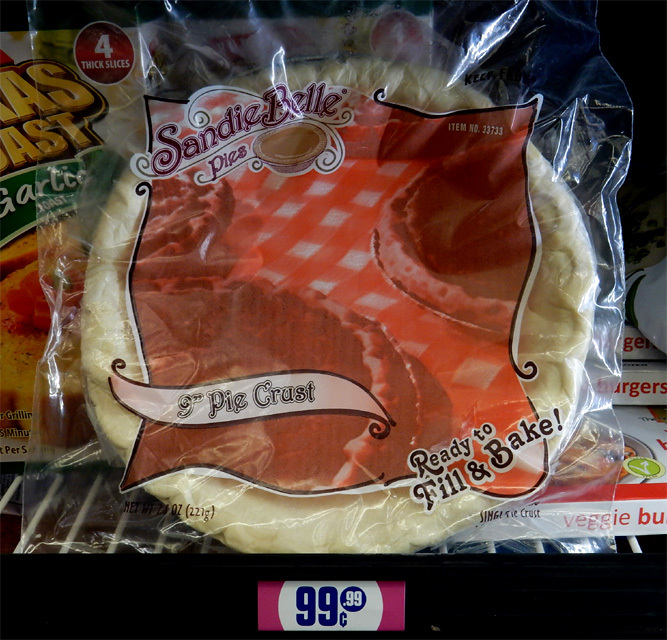 Just get a pre-made pie crust from your local market. So, save a few leftovers from you holiday feast and check out my video below and make your own delish Thanksgiving & Christmas Leftovers Pie. Play it here. Video runs 1 minutes, 29 seconds. 1 to 2 cups each of cooked: stuffing, turkey, sweet potatoes, mashed potatoes, and any veggies like corn, peas, green beans, Brussels sprouts and squash. Make this recipe your own and add or subtract the leftovers you have on hand. 1 pie crust - Use regular pie dough made with flour, not a graham cracker crust, as it will crumble apart and may burn easily. Also okay to use biscuit dough from the can, just stretch or roll-out enough of the biscuit dough to cover a baking dish or pan that's filled with leftovers. I used a deep dish for baking. 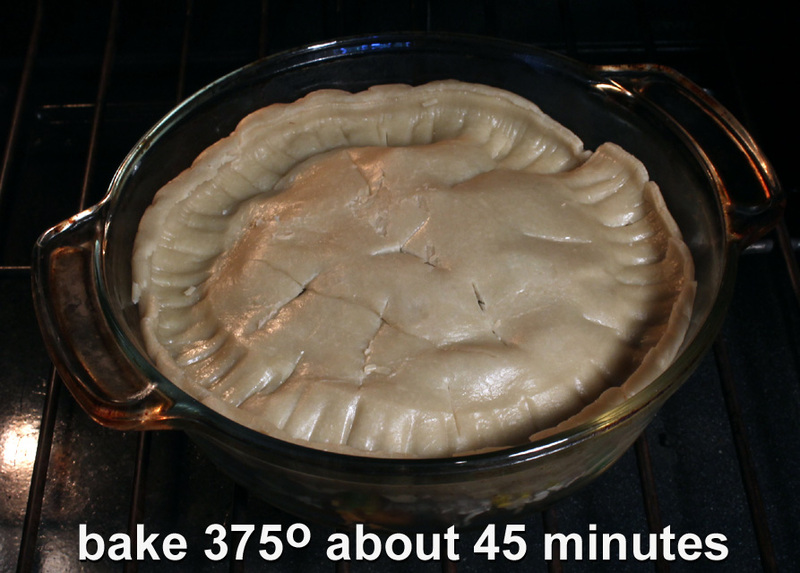 A pie pan may be too shallow for your ingredients and they may dry out. 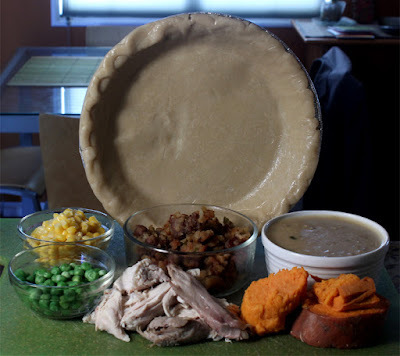 You could even half the pie dough and use a tall and narrow meat loaf or bread loaf pan. If you only have a pie pan then check on baking and remove pie as soon as the crust is light brown, by then the filling should be hot enough. 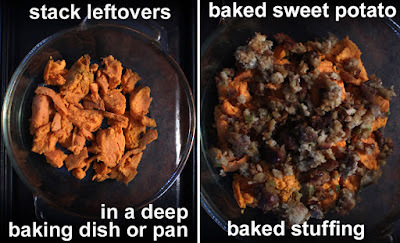 Use any amounts you have leftover from your holiday meal, the above list is just a sample. Fill up the baking dish, but do stop about half an inch from the top - the liquid in your leftovers may overflow the dish. Just to be safe, you can place a cookie sheet underneath the baking dish or pan. If you baked the stuffing in the bird, it may be mushy. 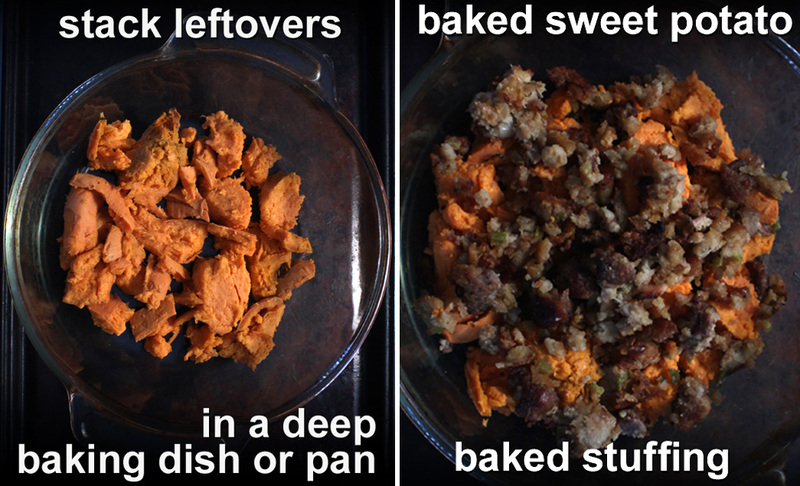 I recommend spreading it out in a baking dish and cook stuffing in the oven for 10-15 minutes at 350 degrees to dry it out, just a little. Of course, if you like your dressing mushy then go right to assembling the Thanksgiving & Christmas Leftovers Pie. As an example I put turkey in the middle and gravy on top. I liked the potatoes on the bottom layer. We ran out of veggies, so I added some drained and cooked corn and peas. I also ran out of gravy -- that is the only thing I actually spend any effort on. 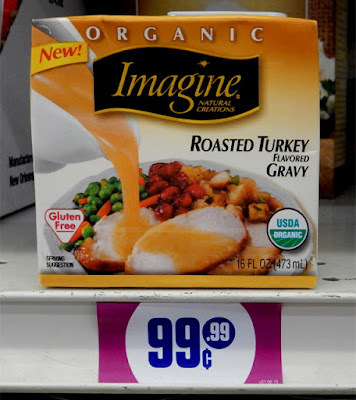 I used a little over a cup of gravy, next time I would add at least 2 to 3 cups of gravy. 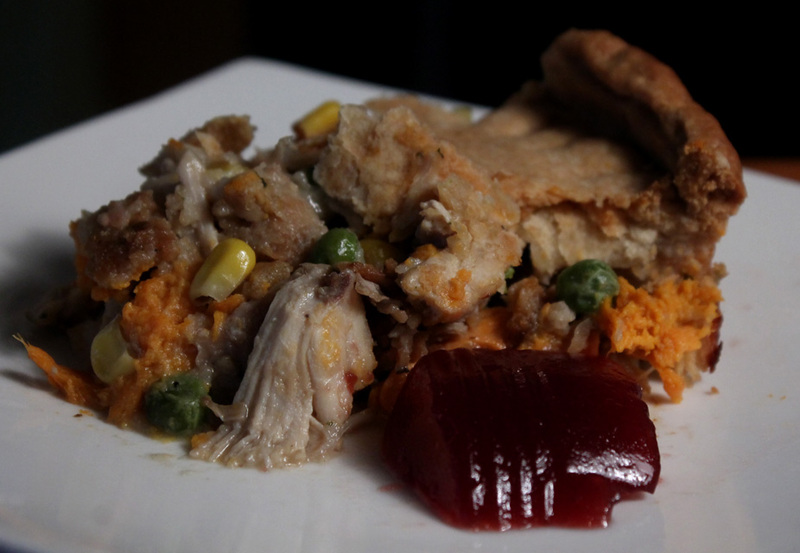 It's really up to you what ingredients make up a Thanksgiving & Christmas Leftovers Pie. For the pie crust, I brought it to room temperature so the dough is easy to spread over the baking dish. 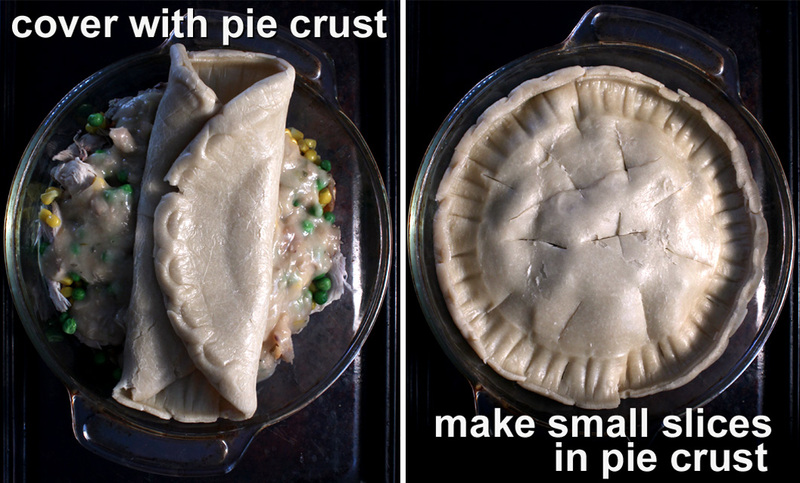 Slice into the pie crust to let out steam from the ingredients below. For this recipe I kept it simple, but you could beat an egg, or egg yolk, to brush on the pie dough, to yield a shinny golden crust. Once you have all the ingredients layered in a deep dish and covered with the pie dough, bake in the oven at 375 degrees for 45 minutes. Check on the pie dough towards the end of baking and remove if it gets too brown. Since all the ingredients are cooked, all you are doing is browning the pie dough and heating up the leftovers inside. Serve Thanksgiving & Christmas Leftovers Pie with a side of cranberry sauce and extra gravy - yum!